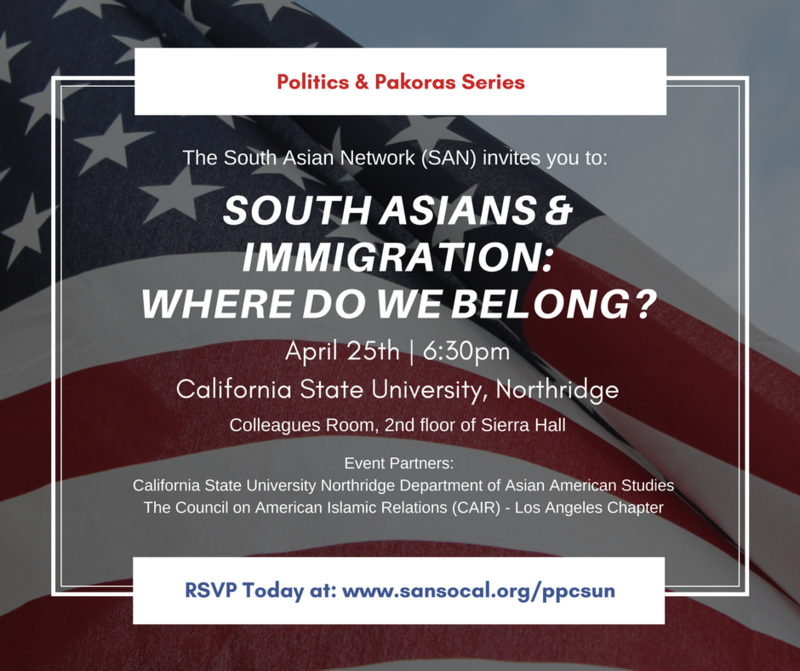 Our Politics & Pakoras panel discussion on the Trump Administration's immigration policy and how it impacts South Asian Americans has been rescheduled for the evening of April 25th at California State University in Northridge. This event will focus on the far-reaching impacts of the Trump Administration's actions and proposed actions on immigration on our community, such as the Muslim Ban, potential changes to the H1B Visa program, and threats to end family-based migration, and even more recently, indications that those who rely on public benefits such as food stamps will be targeted for deportation. This event is free & open to the public. Food and refreshments will be served.